After the Republic of Albania banned gambling operation and casinos of any kind, the local gaming industry was shaken to its core. In fact, it was a crisis, unlike anything the operators saw in the country. However, it appears that an improvised solution is slowly taking shape. Two casino operators from the country are preparing to move their facilities to their northern neighbor, Montenegro. Earlier, in 2018, Albania decided to ban all forms of gambling. The only exceptions are the casino operators who are working in luxury five-star hotels. But, even these must be located outside of the cities and urban locations. A few months later, Kosovo decided on the same measure, which shook its growing gambling industry to its core. In that case, the decision was spurred by the violence that took place in gambling facilities in Kosovo. The result of these incidents was the death of two individuals. In one case, a police officer of Kosovo is the main suspect. The country possesses one of the weakest economies in Europe. Its general capacity for generating GDP has been historically low even in comparrison to the generally poor Balkan region. Now, the hit on the casino industry will take further toll of the Albanian tax revenues. As of January 2, 2019, when the ban took place, over 4000 casinos have been banned. These include both brick and mortar facility and the online vendors. Now, it looks like the numerous casino operators decided to move their operations northwards to the Republic of Montenegro. The process of migration has already begun. Mirko Rajkovic, a Montenegro government advisor said that the Games of Chance Administration is already considering two license requests. Both of these companies are in the ownership of Albania citizens with a residence in the same country. In other words, they are not part of the local Montenegro Albanian population. There are also indications that the change in the Montenegro casino industry began back in 2018. That year, its revenue was up almost 30 percent and it reached €15 million. Right now, most of its revenue comes from sportsbooks and betting shops. 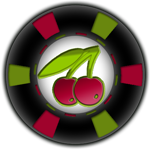 Its current five casinos as well as nearly 100 slot clubs generated over €6 million in 2018.